Characters that toi hate ou characters that toi love? Which amount is larger? Is there a YouTuber who inspired toi in watching a certain anime? Which of these 2 digimon characters do toi think would become my friend? The suivant animé on my watch list; which should I watch first? Who are your haut, retour au début 5 Characters from One Punchman Series In Order...........!!!!!!! In the world of Shounen, who do toi think of? When it comes to anime, one of the biggest debates that every animé fan ou Otaku have to answer is English dubbing ou subbing. The fans who prefer Subbed animé are usually fans who prefer to hear it in its original language because they think its plus natural and thus, can feel the emotions the characters are going though, much better. ou that it sounds better. If toi thought Fairy Tail was over, then toi better think again. 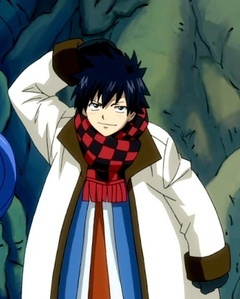 The series might have wrapped last an thanks to its creator Hiro Mashima, but the artist has brought the magical titre back. a comment was made to the poll: Characters that toi hate ou characters that toi love? Which amount is larger?